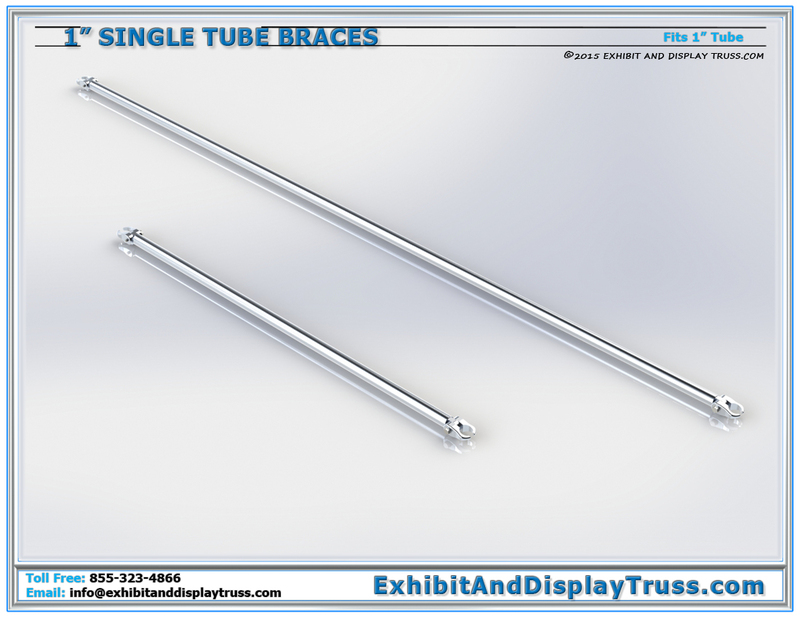 1″ Single Tube Braces are a versatile item. 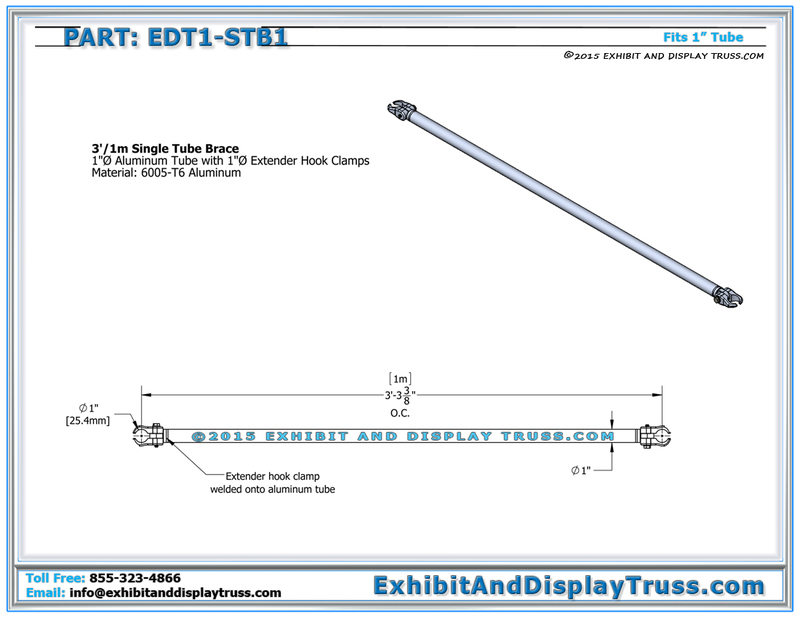 The 1″ Single Tube Braces are used with booths that use 1″ tube/chord diameters (truss kits made with 6″ wide mini truss and 9″ wide aluminum truss). Single tube braces come in two versions, a 3ft and a 6ft to suit your needs. We can also custom create any length your tradeshow tabletop displays may require. 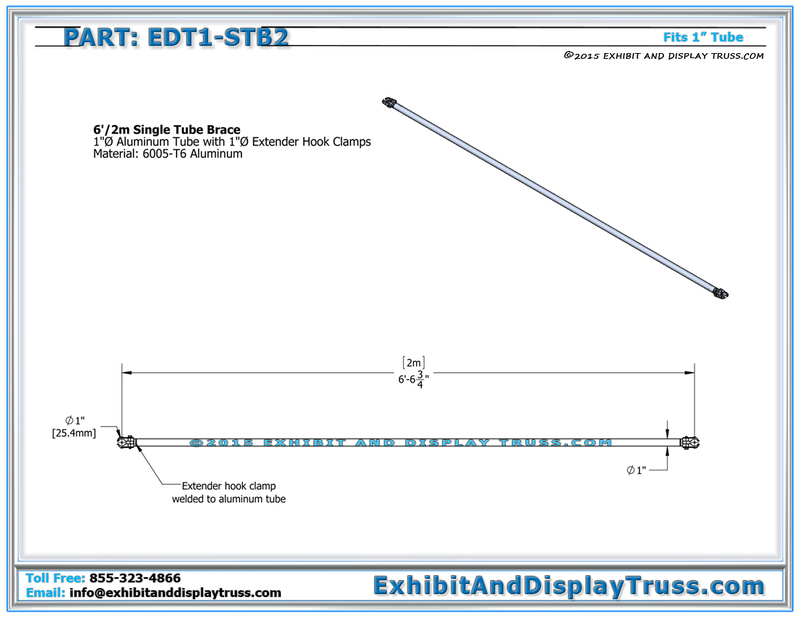 Single tube braces have extender hook clamps welded to each end. These swivel, allowing them to solve difficult attachment problems. Single tube braces can be used on finish line kits for extra support, hung on booths to provide a space to hang shelves, or stretched across an opening to provide another spot to tie a banner or sign.